Video of Chinese actress Fala Chen who shares some views about her hometown, Chengdu. Decent film but a bit long-winded, could have cramped more information in a three minutes video. I always thought that she was born in America. Apparently she was born and raised in China instead, until she was 14 years old when she emigrated to the United States with her family. Chen entered the show business after earning a place as 1st runner-up in the 2005 Miss Chinese International Pageant. She worked primarily with TVB in Hong Kong and starred in numerous TV drama series until her contract ended in 2013. She did quite well during that period. Not sure when the video was made but it looks recent. I visited the city over two decades ago when China was still at early stage of its economic boom. A lot of things have changed, obviously. I’m thinking of revisiting the place for comparison sake, but there are other priorities at the moment. Chinese Vice Premier Wang Yang on Sunday reaffirmed his earlier statement that Chinese tourists should learn better manners, that “uncivilised behaviour” (talking loudly, spitting etc.) 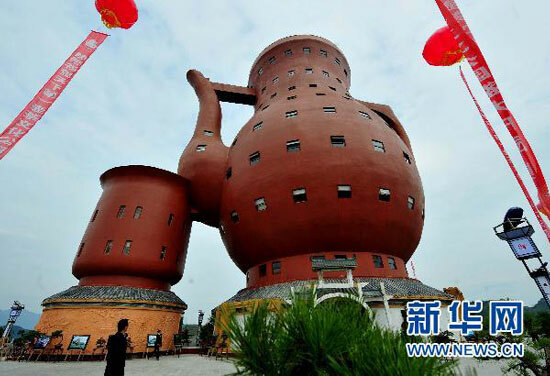 of some Chinese tourists is harming the country’s image. 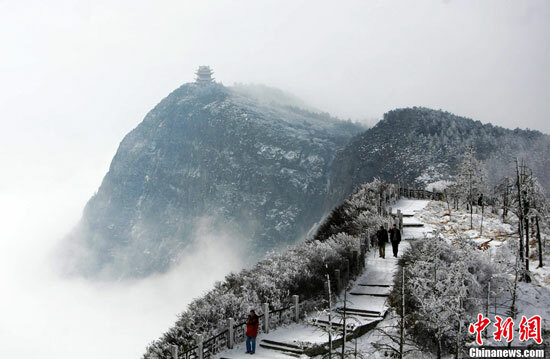 China is now the number one tourism source market in the world. 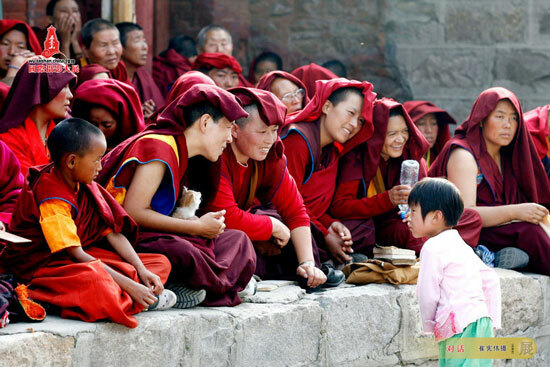 Many countries, especially its neighbours, are in a love-hate relationship with Chinese tourists. They brought good money, but their behaviour can be a headache lots of the times. The fact that they usually travel in groups means that it can get really chaotic wherever they go. To be fair to the tour guides I’ve seen many trying their best to maintain order, but the Chinese tourists often seem disinterested to follow the guidelines. It’s not that these people deliberate behaved badly abroad, it probably never crossed their mind that it’s wrong to do certain things (that they usually do) in public. The younger generation (I’ve met quite a few) are a lot more accustomed to global culture, so they should be able to shake off the tag after a decade or two. I just don’t see it happening sooner despite the leaders’ intention, there will be too many hyper middle-age Chinese making their first trip overseas in the next few years. 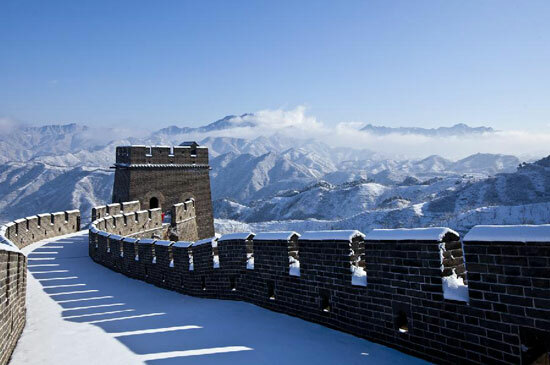 The Great Wall after a snowfall in Tianjin, northern China, on March 19-20. 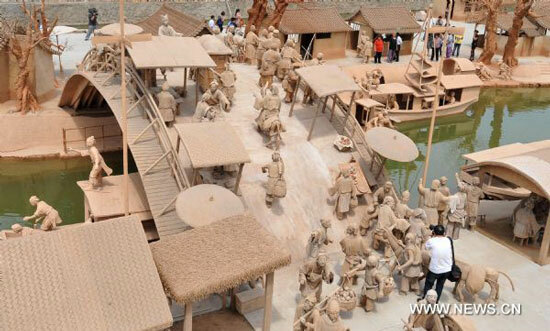 A clay sculpture park built to simulate the scene of renowned Chinese scroll painting Along the River During the Qingming Festival (清明上河图) was officially opened in Changzhuang Township, Tangshan City of north China’s Hebei Province last Friday. Luoyang lies in the west of Henan, crossing two banks of the middle reach of Yellow River and is one of China’s Four Great Ancient Capitals. 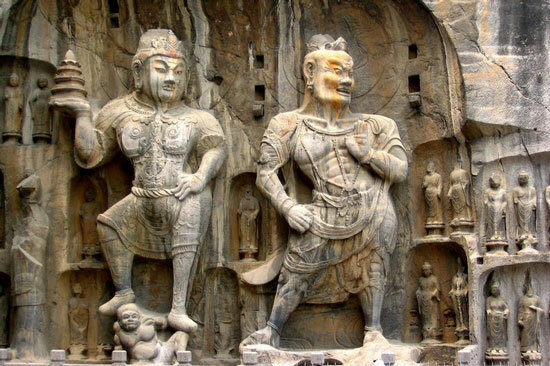 Its famous heritage sites include the Longmen Grottoes and the White Horse Temple. The city is also famous as a cultivation centre for peony, one of China’s famous emblems.